No, it is not a scene from Battleship Potemkin by Einsenstein. 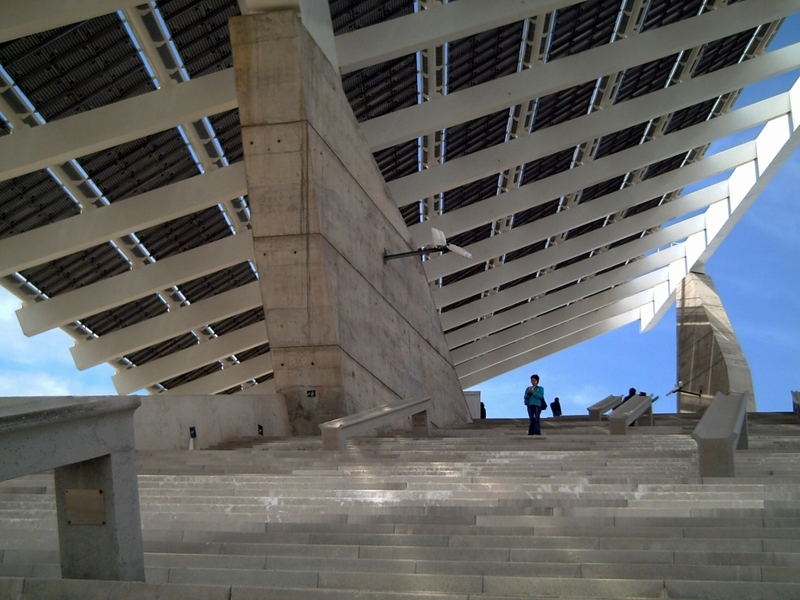 This is the scalinata that leads to the base of the big solar panel in the Barcelona Forum area. So many tons of concrete, the stern, sober, majestic style reminds me of Socialist or Stalinist Architecture somehow. 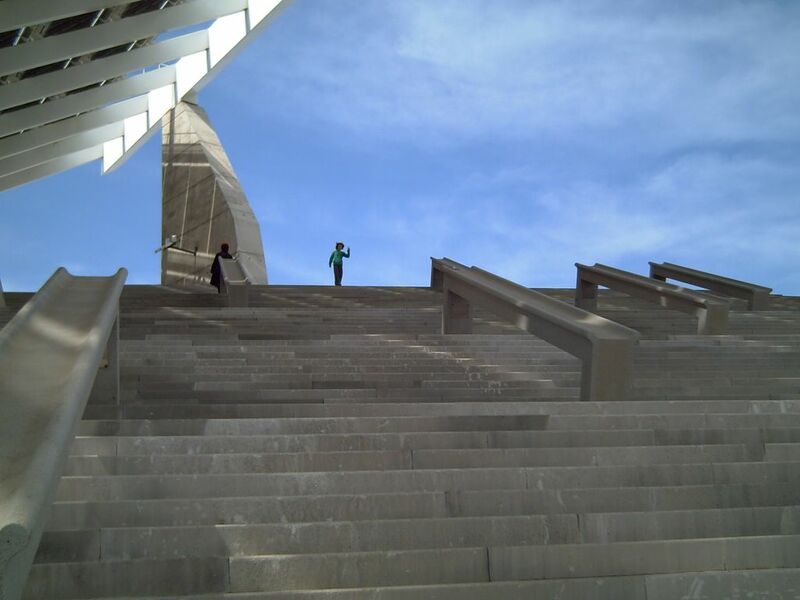 Check this other picture with my wife and my daughter on top of the stairs so you get a better idea. The lines and perspective make for a great shot here. Well done Carlos. Molt bona perspectiva...no sabia que si podia pujar. That looks like a very big structure! Is it also high? Yeah, you know how to take pics. What an architure , what a shot! stunning shot carlos! the lines, the perspective, everything... the way you captured it makes it look like the set of a play. These solar panels are really amazing.